Located just outside of Tahoe City on Hwy. 89 South at Sunnyside, it’s a perfect rest stop along the way to the West Shore’s hiking, skiing or bike riding opportunities. In fact the bike trail runs in front of the establishment and is right across the street from the lake. 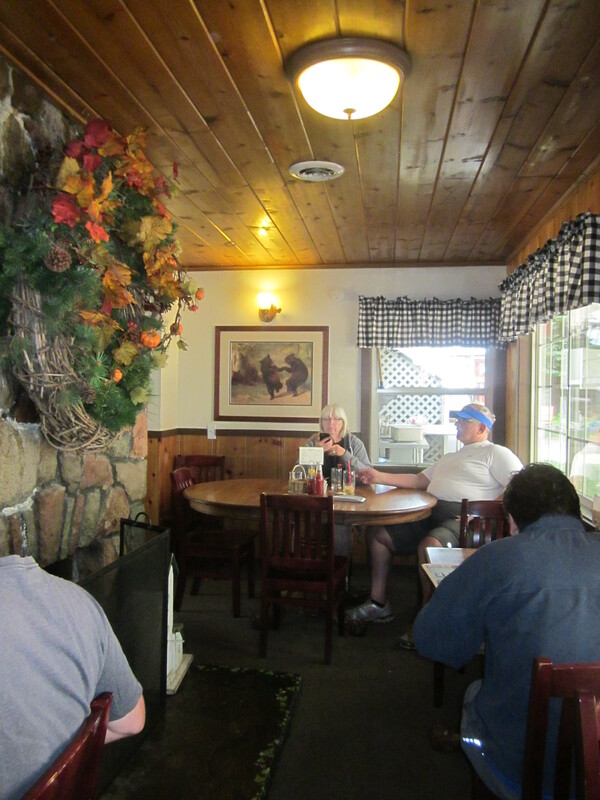 Decorated with warm, cabin-y touches and a large fireplace, it’s just the place to give you the warm fuzzies on a cold mountain morning and hit the spot for a hungry stomach. …take in the Fall color display. Their menu not only boasts fresh and tasty food with healthy portions, but some very creative house specialties you won’t find anywhere else. One of my personal favorites is the Firesign Crepes. Filled with scrambled eggs, green onions, mushrooms and melted cheese, then smothered in hollandaise, this meal is a decadent dish to treat yourself to when you’re not obsessed with counting calories. You can even request a half order if the richness of the meal is just too much for one sitting. In addition, you’ll find daily specials, fresh made muffins, coffee cakes and cobblers too. They also serve lunch as well, with fresh salads, soups and sandwiches (both hot and cold), but I’ll be honest here and tell you I rarely make it past the breakfast menu. OK, sometimes we do order lunch. Tuna Melt. 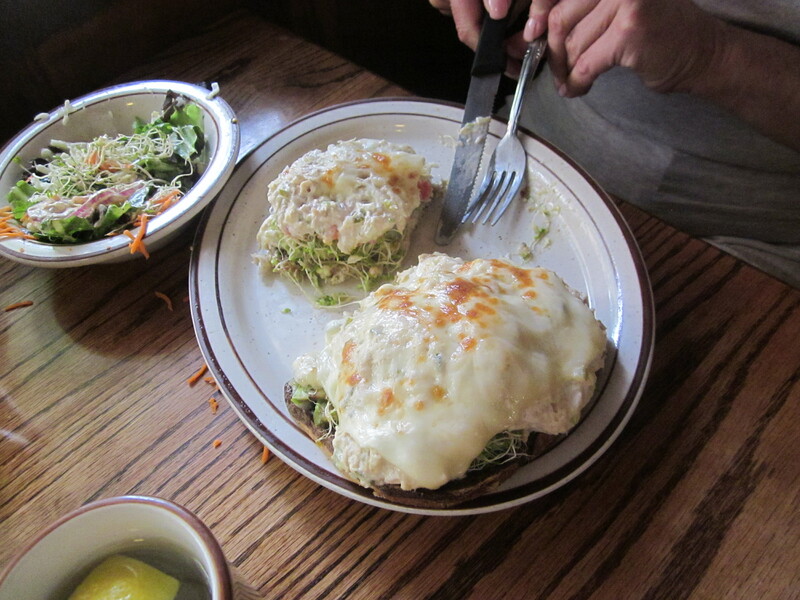 You’ll never leave The Firesign Cafe hungry. Ever. 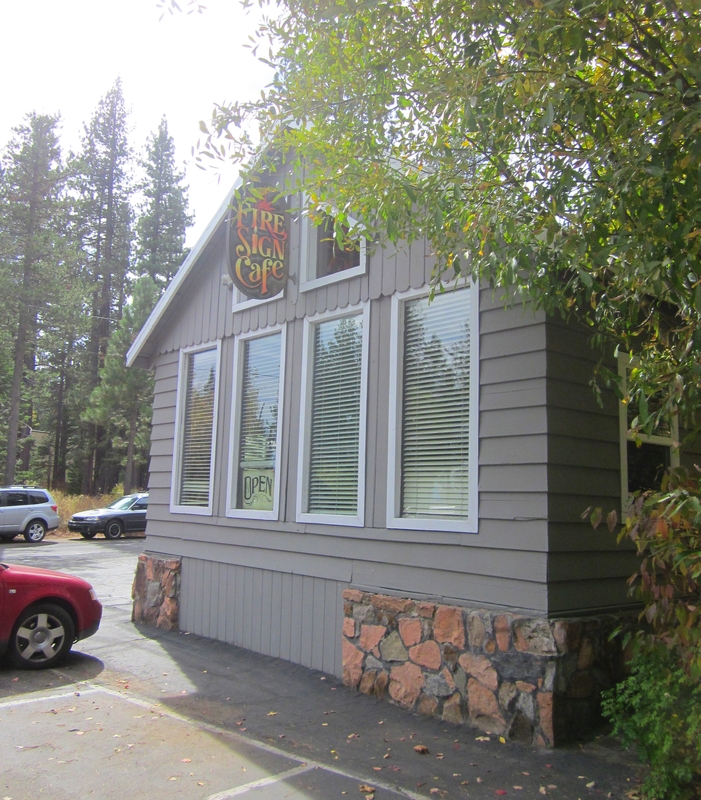 Firesign Cafe is open 7 days a week from 7 am to 3 pm all year long. 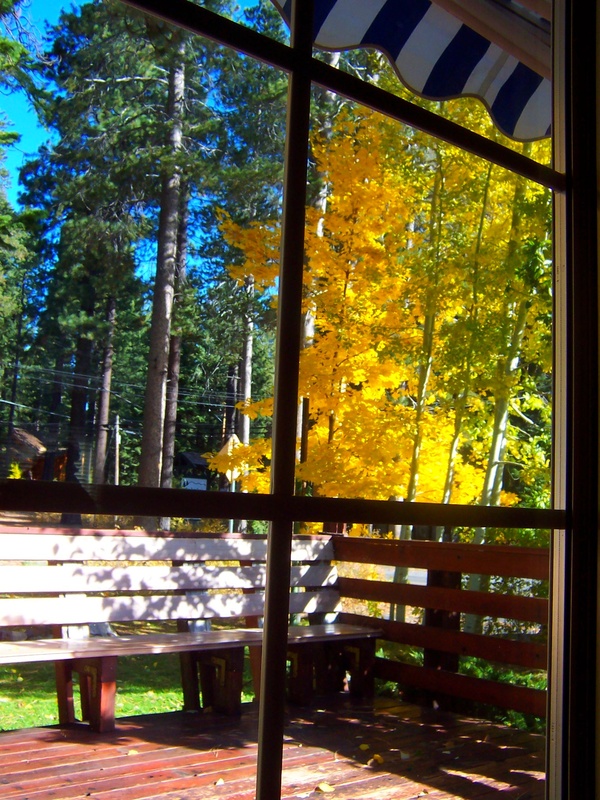 Come early on the weekends or expect a wait, although the beauty of dining at the Firesign Cafe in the off season means the wait won’t be anywhere near as long as it can be in the popular summer months or during the height of holidays and ski season. Not to fret however, if there is a wait, they often have a separate cabin open where coffee or a latte can be had to tide you over until a table becomes available. « Tahoe Donner XC New Lodge!